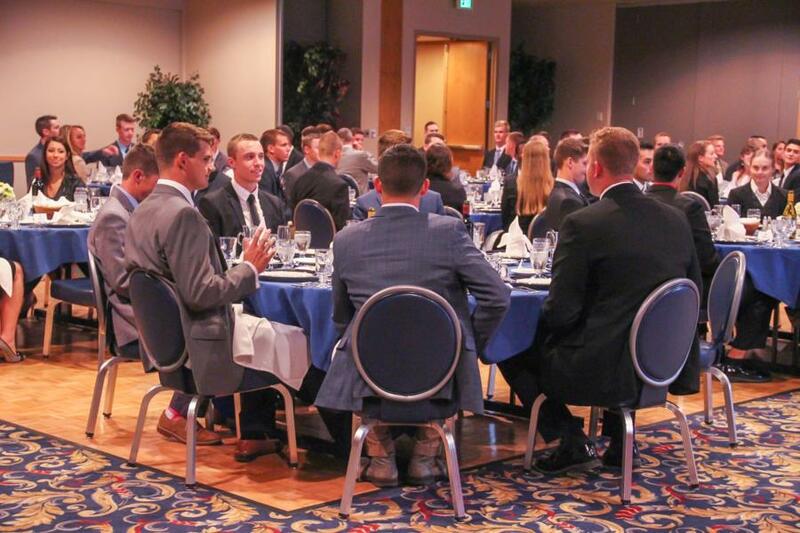 Last night the 1st Class Cadets from Squads 21, 22, 31 and 32 gathered at the Falcon Club for Social Decorum Training. 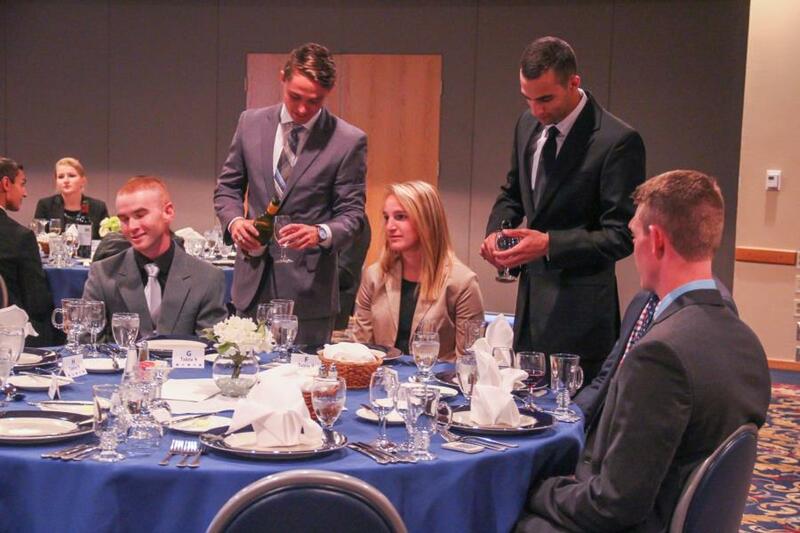 All of the 1st Class Cadets will eventually - over the Academic Year - attend a Social Decorum Night. Where they practice proper dining etiquette with a 4 to 5 course meal as well as practicing their conversational skills to help prepare them for any situation. Whether dining in or out, a social event and even a job interview. To see the rest of the pictures from last nights event go to Galleries - Extracurricular - Cadet Life.